Throughout the month of June, UFCW locals across the country are celebrating diversity and inclusive workplaces for LGBTQ members and all workers. 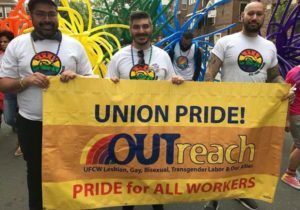 This Pride Month, UFCW OUTreach has created a Pride Guide to help UFCW locals show solidarity with UFCW LGBTQ members by taking part in Pride parades. UFCW OUTreach also created a pamphlet to help UFCW locals with LGBTQ issues in the workplace. The pamphlet, titled “Dealing with LGBTQ Issues in the Workplace,” includes on overview of LGBTQ do’s and don’t’s, frequently asked questions, and transgender key terms. “UFCW locals across the U.S. and Canada are marching in Pride parades, negotiating strong LGBTQ non-discrimination language and building a more inclusive union—showing our members and the community that our UFCW family has Union Pride,” said UFCW OUTreach Chair Michele Kessler. The Pride Guide is available here. 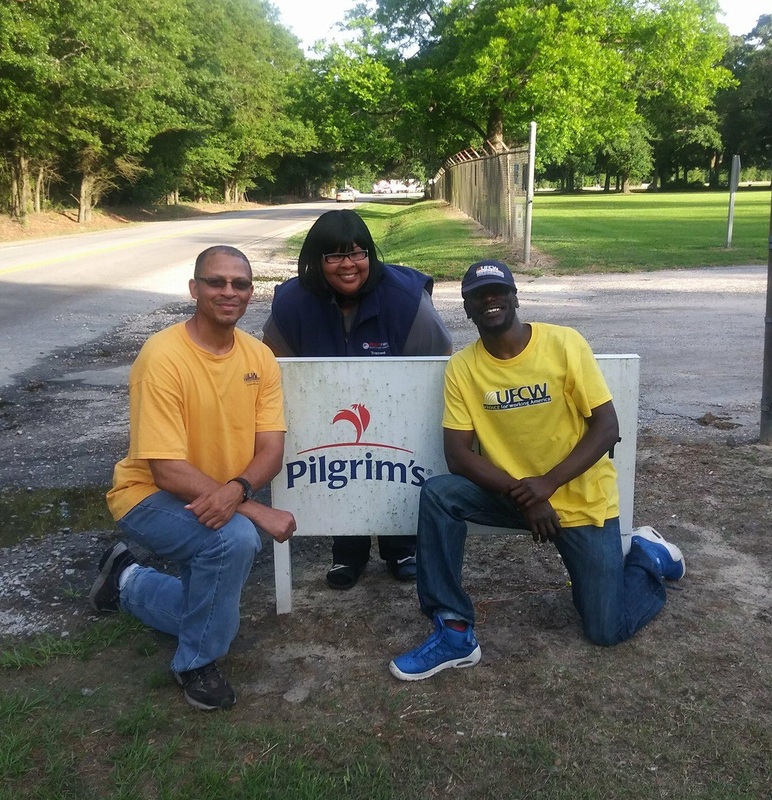 You can also obtain a copy of the UFCW OUTreach pamphlet here. 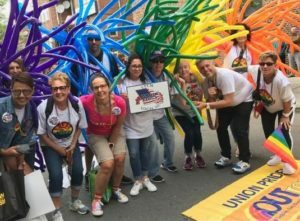 If your local is interested in sharing photos of events during Pride Month, please submit them to janderson@ufcw.org. 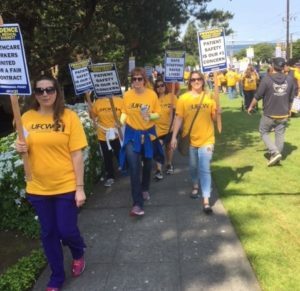 Hundreds of health care workers gathered outside of Providence Regional Medical Center Everett in Washington on June 6 to educate the public about the need for better contracts. 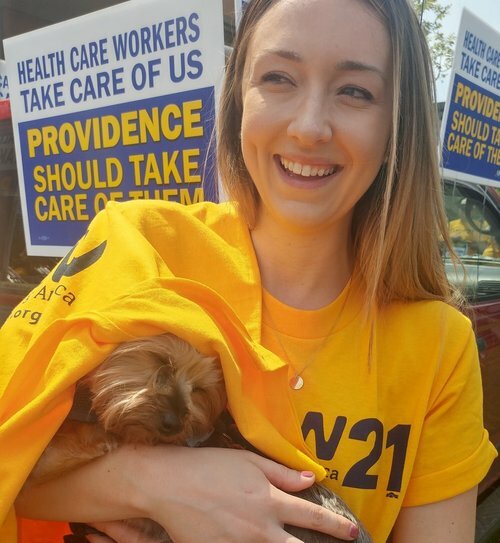 The workers, who are members of UFCW Local 21 and employed as nurses, as well as professional and technical staff, were joined by community members and elected officials at the informational pickets, which took place at both the Pacific and Colby campuses. After months of negotiations, the workers are demanding that management address staffing problems by recruiting and retaining the highest quality health care professionals, and giving front line health care professionals a real voice in establishing safe staffing levels. They are also asking for management to ensure job security so that they can continue to provide quality health care service. The contract for the nurses at Providence Regional Medical Center Everett expired last October, and the contract for professional staff expired in March. The contract for technical staff expires this month. Two registered nurses at Providence Regional Medical Center Everett reflected on the power of standing together for better contracts. 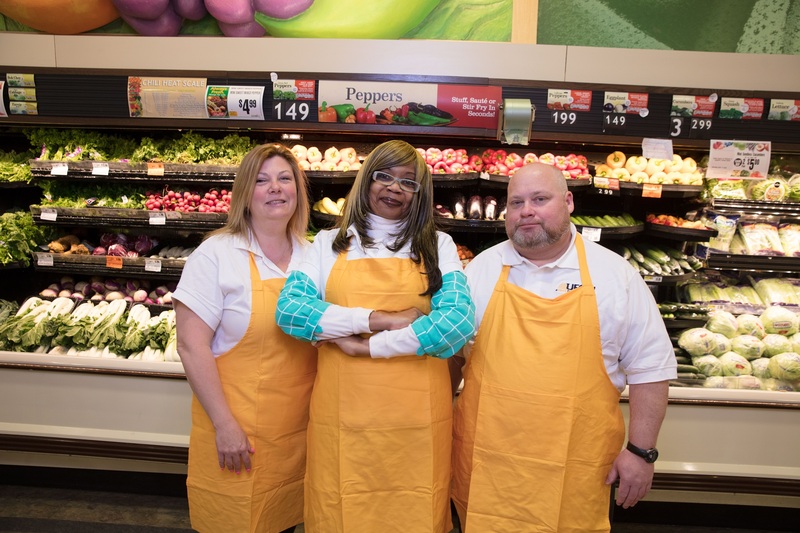 Approximately 350 King Soopers Marketplace workers in Arvada, Colorado, joined UFCW Local 7 on May 9. Employees at the newly opened store are excited to have a voice in the workplace, union insurance and a pension. 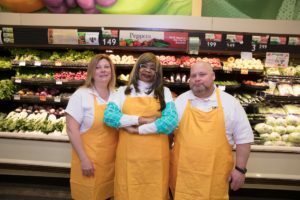 As members of UFCW Local 7, they will also receive credit for prior experience within the company and in other retail stores, which will help them reach journeyman status. 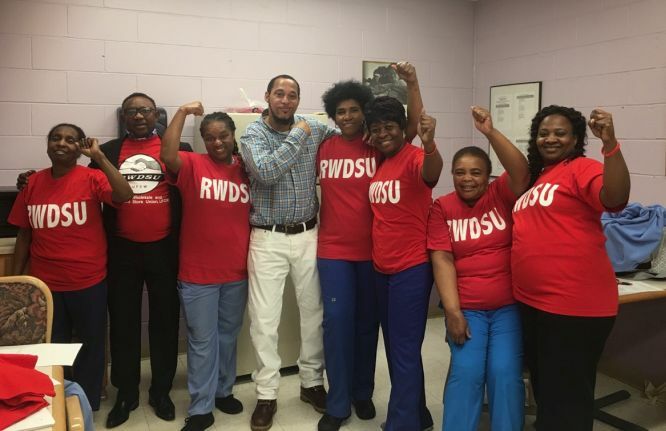 RWDSU/UFCW Local 108 nursing home workers at The Woodlands Genesis health care facility in Plainfield, New Jersey, recently ratified their first union contract. 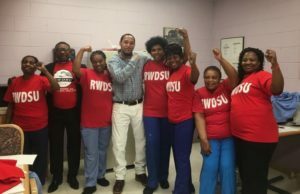 The workers joined RWDSU/UFCW Local 108 in April 2017, and the strong union contract was ratified by 100 percent of the membership. 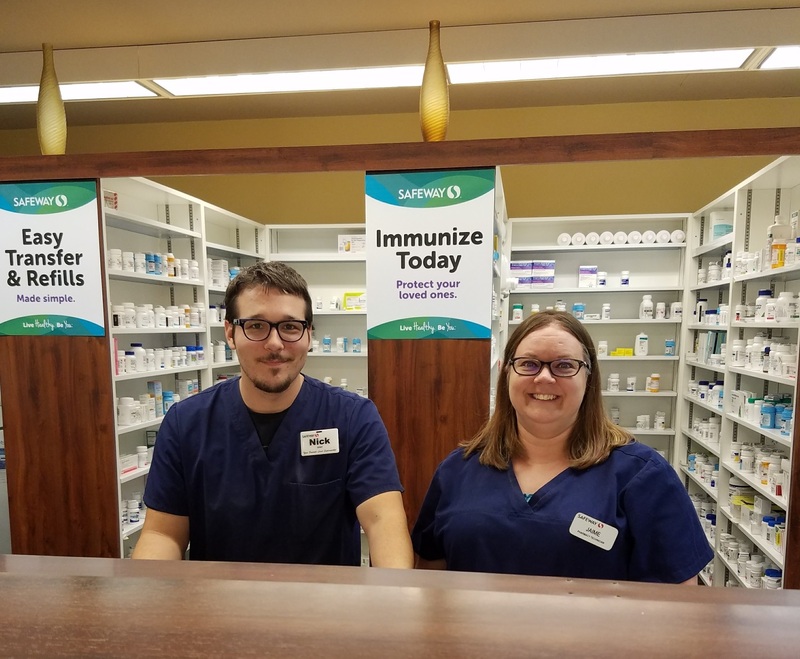 The new agreement includes a 60 percent reduction on their contributions to the health plan, a 2 percent wage increase for members under five years of service, and a 2.5 percent or more increase for members over five years of service depending on the shift. The agreement also includes shift and weekend differentials, as well as four extra holidays: Martin Luther King’s birthday, Memorial Day, Easter and a floating holiday. 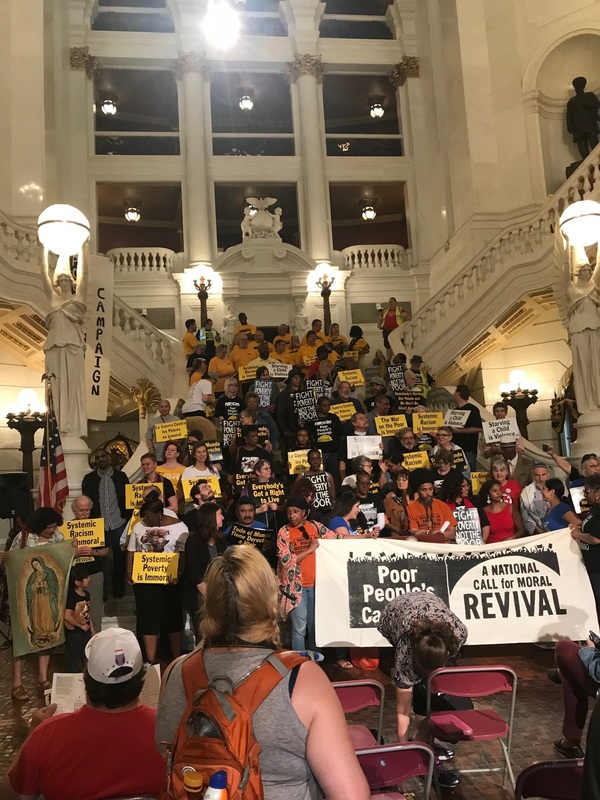 UFCW locals are gearing up for the fifth week of the revival of the Poor People’s Campaign, which will focus on jobs, the economy, and housing. This campaign builds on the legacy of Dr. Martin Luther King Jr. and others, who organized actions in 1968 to demand economic and human rights for poor Americans of all backgrounds. “The Poor People’s Campaign: A National Call for Moral Revival,” was founded by Rev. Dr. William Barber II and Rev. Liz Theoharis, the Kairos Center for Religions, Rights and Social Justice at Union Theological Seminary, and hundreds of local and national grassroots groups. 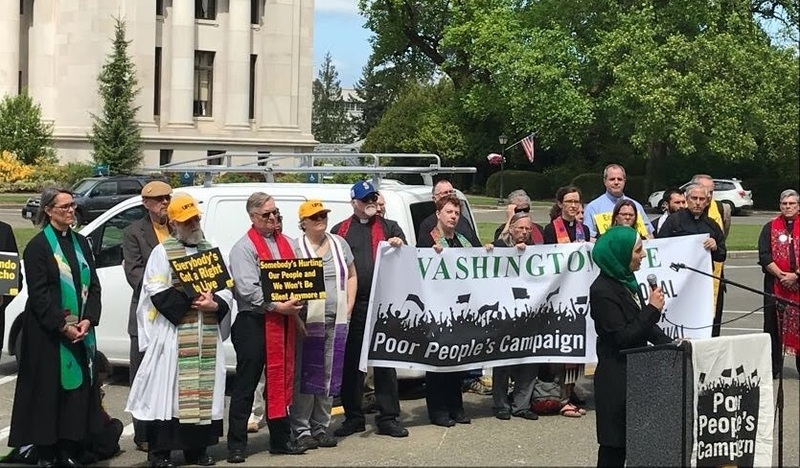 The campaign launched on May 13, and has held events across the country since that time as part of its “40 Days of Moral Action” for the purpose of challenging systemic racism, poverty, the war economy, ecological devastation, and the nation’s distorted morality. 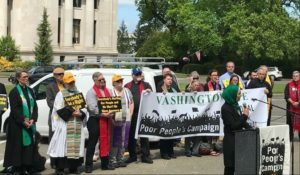 On June 11, the campaign is holding events at state capitols across the country around the theme “Everybody’s Got the Right to Live: Jobs, Economy and Housing.” The campaign will conclude its “40 Days of Moral Action” on June 23 with a “Global Day of Solidarity” rally in Washington, D.C.
For more information about the Poor People’s Campaign, contact the UFCW’s Civil Rights and Community Action Department at (202) 223-3111. 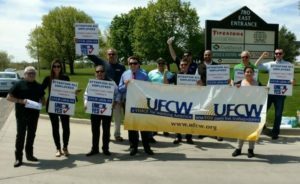 Last week, Making Change at Walmart (MCAW) criticized the retail giant for its attempt to silence a majority of Walmart workers’ voices by splitting the formal shareholders meeting from the annual associate celebration so that the two events took place on different dates and at different locations. 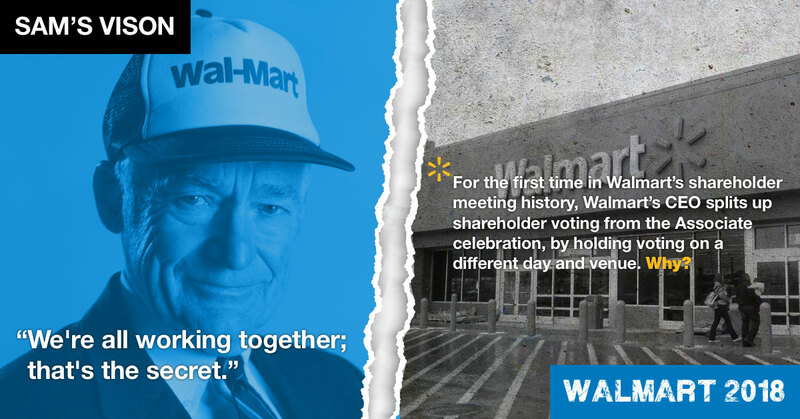 Walmart’s decision to switch the date and location for the formal shareholders meeting is a major departure from the company’s previous shareholder meetings. Traditionally, Walmart’s formal business meeting, which includes discussing and voting on shareholder proposals, has always been conducted during the main associate celebration inside the Bud Walton Arena in Fayetteville, Arkansas, with over 20,000 Walmart and Sam’s Club workers in attendance, as well as Walmart executives and shareholders. During last year’s shareholders meeting, two Walmart workers spoke as proxies during the formal business portion, touching on low wages and poor benefits, and were received with cheers from the crowd of Walmart and Sam’s Club workers in the Bud Walton Arena. MCAW’s communications director also spoke on behalf of the Teamsters union, advocating its proposal for an independently elected board member. This year, however, formal business took place in the smaller John Q. Hammons Center in Rogers, Arkansas, on May 30 which resulted in a smaller, more controlled audience and excluded thousands of Walmart workers from the meeting that included comments on the company’s low wages, inconsistent and unfair scheduling, and insufficient benefits. The annual associate celebration took place at the Bud Walton Arena on June 1. “For the first time in Walmart shareholder meeting history, Walmart’s top 1 percent has changed the rules to exclude Walmart workers from being present during business discussions on wages and other proposals that affect them on a daily basis, further silencing the voice of its workers,” said MCAW director Randy Parraz. Throughout the shareholders meeting, MCAW released a series of statements, fact sheets and digital ads to educate the public, as well as Walmart workers and shareholders, on Walmart’s censorship of its business meeting. 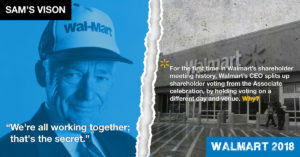 Additional information about MCAW’s campaign during Walmart’s shareholders meeting is available here. On May 18, 41 warehouse distribution workers at Arett Sales in Bristol, Connecticut, voted to join UFCW Local 919. Arett Sales Corporation is a distributor of lawn, garden, home and holiday supplies. The workers were concerned about harsh treatment by management, unsafe working conditions, poor wages, and forced overtime, and wanted a voice in the workplace. Two years ago, these workers attempted to join UFCW Local 919, but were thwarted by an aggressive anti-union campaign. 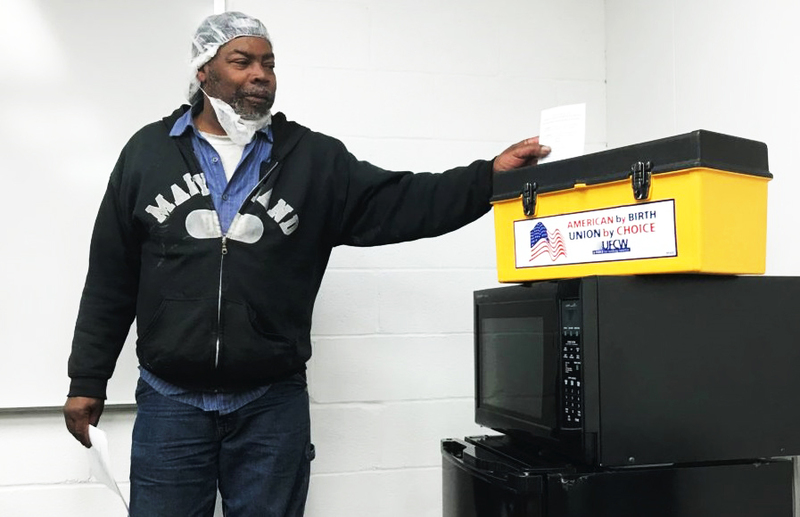 This time, they were determined and unwilling to listen to the company’s anti-union rhetoric and tactics, and are looking forward to negotiating their first union contract.